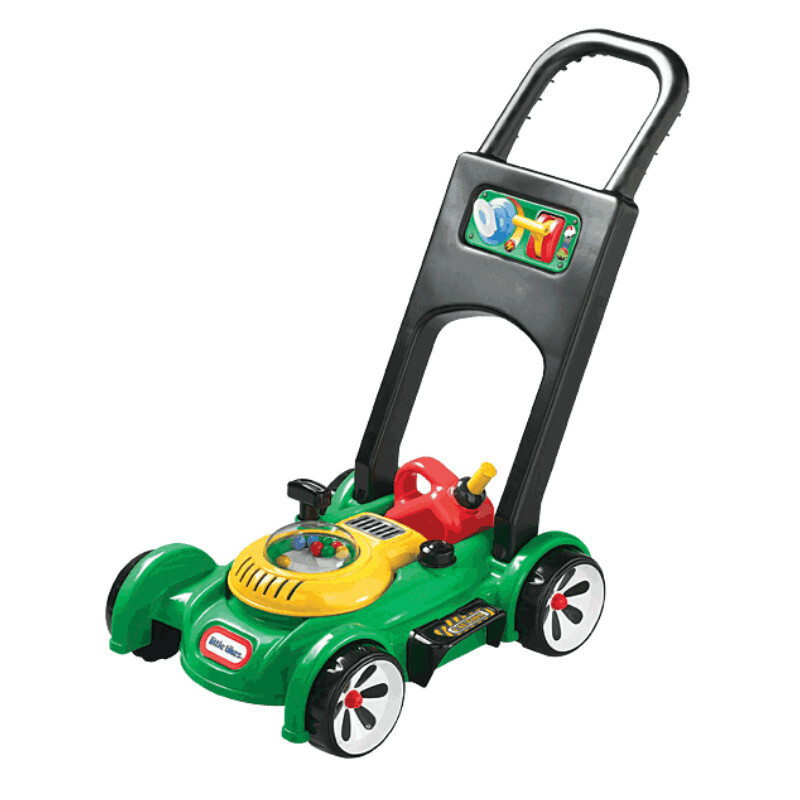 A toy mower that looks like the real thing! 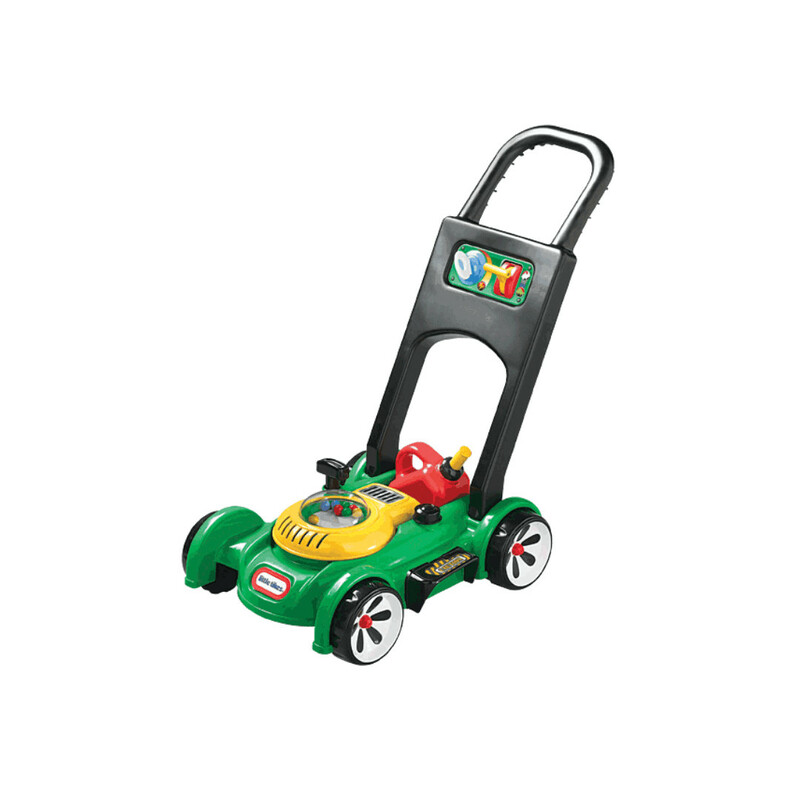 This outdoor toy comes with everything kids need to help keep the yard looking sharp! • Sounds are mechanical, no batteries needed. 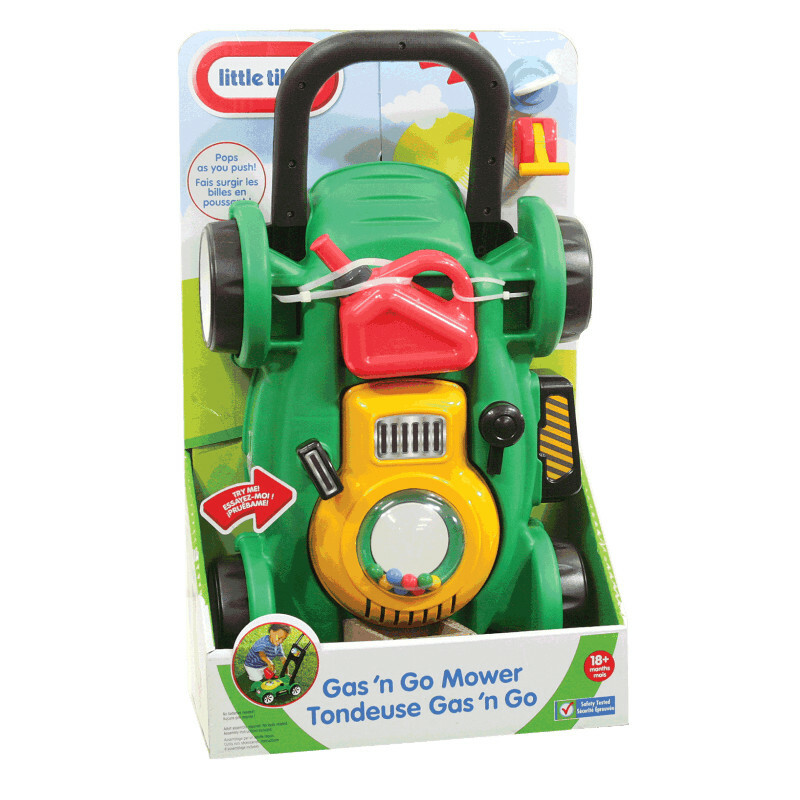 • Push mower, beads pop as you push. • Pull cord to hear engine sounds. • Clicking key and adjustable throttle. • Removable gas can. 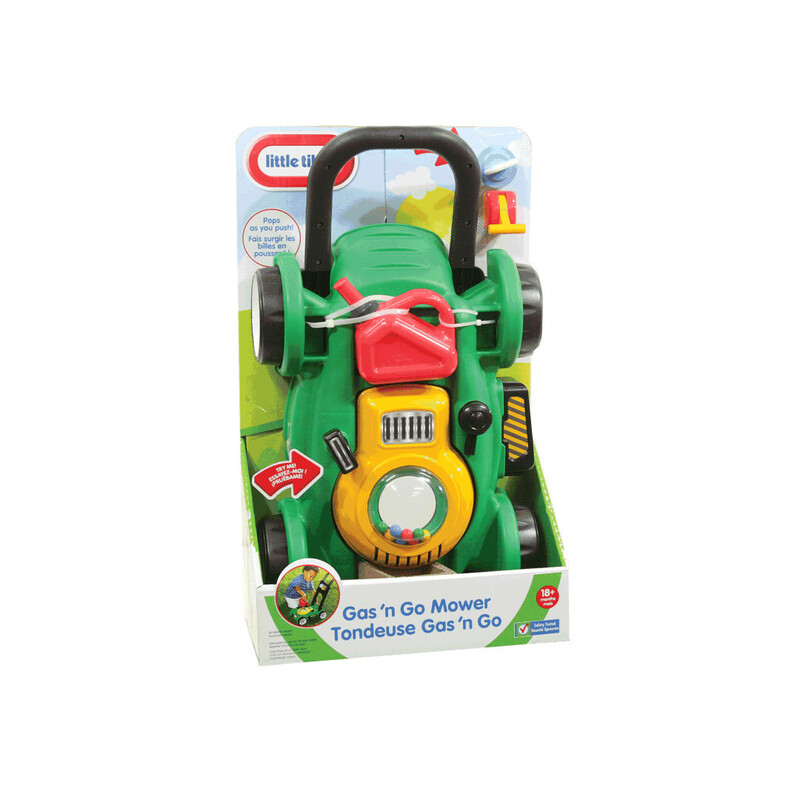 Kids can open the tethered gas cap and pretend to fill up the lawn mower.